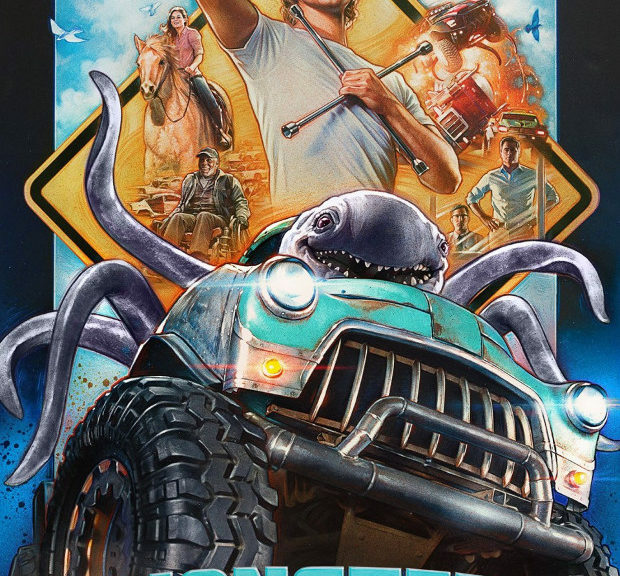 Let’s imagine you’ve made a multi million dollar film sponsored by a major car manufacture with a goofy family friendly premise and creature? You’ve got some solid character actors, a serviceable plot and no plans to make it into a franchise like so many other studios are doing these days? Do you release it early in the spring and hope to beat the tent pole events for a little extra cash? Or do you sit on it for a year and then release it with as much marketing as a wet fart in a sewer? Apparently the latter is what happens when you make Monster Trucks. It’s a movie about evil oil companies accidentally releasing creatures while drilling for oil. These creatures drink oil and through the plot end up as living engines inside chopped and modified trucks. Tim found it delightfully bad and well worth the viewing. Weltall was ambivalent but at probably won’t use it as exhibit A in his defense of Tim’s murder. Speaking of planned murders takes us to Cleaner. In it, Samuel Jackson plays an ex cop turn. corpse removal specialist. Which wasn’t an intentional theme and certainly not evidence that Weltall has been researching how to hide a body. When he’s brought in to clean up a body that turns out to be a murder, he has to investigate who was using him before they decide to tie up their loose end. Tim then briefly talks about Freaks(1932). The plot consists of the “beautiful” trapeze artist marrying the dwarf ringleader for access to his fortune. Apparently people in the thirties considered anyone beautiful who didn’t have a relief map of the moon in small pox scars on their face or didn’t get around on polio braces. Also, the strongman looks like divorced dad who’s been hitting the gym in alternate weekends to impress the girls in the spin class.